AUGUSTA, Maine — Gov. Paul LePage, upset that the Maine Democratic Party has dispatched a tracker to film him in public, canceled his Tuesday meeting with the incoming Legislature’s Democratic leaders that was to be the governor’s first meeting with them and an opportunity for the three to discuss the state’s budget situation. In a statement released by his office, LePage said a tracker from the Democratic Party filmed him at a Veteran’s Day event last month and attended a Penobscot Bay Regional Chamber of Commerce event in Rockport Tuesday morning where LePage spoke about his policy priorities. At the Veteran’s Day event, LePage said, the tracker filmed him as he spoke with an elderly veteran with deteriorating health. Later Tuesday morning, LePage challenged the incoming Democratic legislative leaders to call on their party to stop tracking him and said he wouldn’t meet with them until they do. 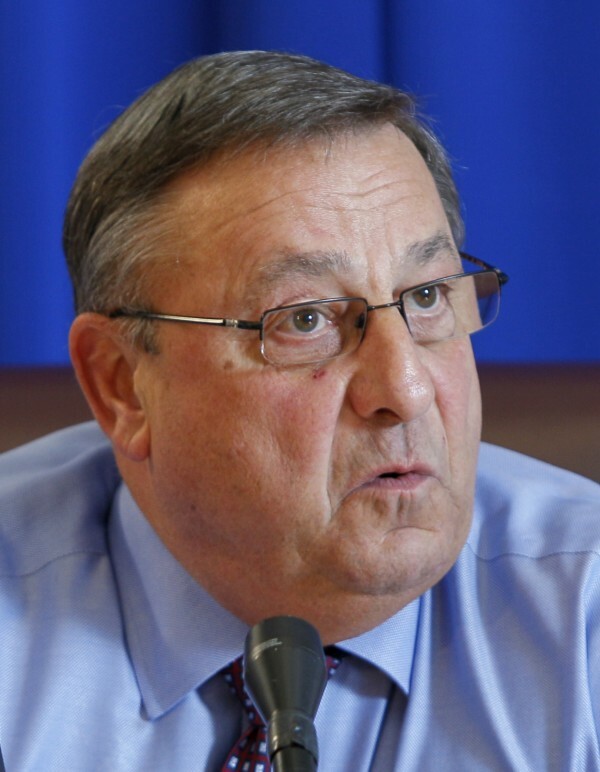 LePage was set to meet with Sen. Justin Alfond of Portland, the presumptive Senate president, and Rep. Mark Eves of North Berwick, the presumptive House speaker. Lizzy Reinholt, a Democratic Party spokeswoman, said the party’s tracker obtains permission from event organizers to attend and film LePage. “He’s just there to be a bystander and take video and that’s it,” Reinholt said. “He’s not supposed to cause ruckus, ask any questions, just to get tape and leave. In a joint statement, Alfond and Eves said they were disappointed LePage canceled their meeting. “Tracking” has become a common tactic in the political world, in which political campaigns and organizations dispatch an operative with a handheld camera to film political opponents in public. During the campaign for Maine’s open U.S. Senate seat this fall, Sen.-elect Angus King often made references to a Republican tracker filming him at public events. Alfond and Eves had been attempting to schedule a meeting with LePage since shortly after last month’s elections, when Democrats captured majorities in the House and Senate. They were scheduled to sit down with the Republican governor for 15 minutes Tuesday between mandatory legislative training sessions. The Democrats expected to discuss the state’s budget situation after the state’s Revenue Forecasting Committee last week revised its projections for tax collections downward for the current budget year, estimating that revenue collections would come up $35.5 million short for the fiscal year that ends June 30, 2013, due to the depressed revenue picture. On Monday, LePage’s finance commissioner, Sawin Millett, recommended that LePage order an immediate curtailment in state spending to keep the budget in balance. Also last week, LePage’s health and human services commissioner, Mary Mayhew, told lawmakers that state Medicaid spending is has gone $100 million over budget for the current fiscal year. The revenue shortfalls and the Medicaid budget gap are among the issues awaiting the new Legislature, which takes the oath of office Wednesday.